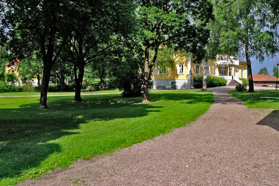 The mansion which today is Långshyttans Brukshotell was originally built in 1856 as a residence for Johan Theodor Swedberg, factory manager for the local industy Långshyttebruk. 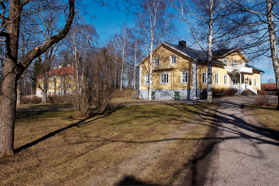 In the early 20th century it was used as a residence for employees and later as a hotel. Today thre are 10 hotel rooms in the main building where all rooms have new bathrooms with showers. One of the rooms is a luxury suite with a bedroom and a living room, jacuzzi and a private balcony overlooking the park. In the park there is also the annex with additional rooms. 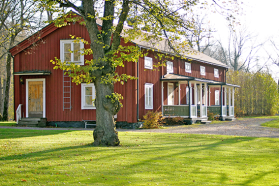 Close to Hedemora and only two hours from Stockholm you will find Långshyttans Brukshotell. 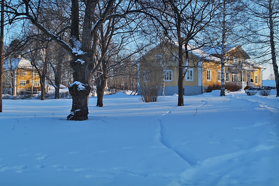 Other nearby communities are Gävle (45 min), Hofors (15 min) and Falun (30 min). 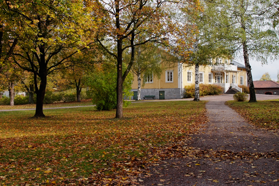 The location is central in southern Dalarna. Carina och Bengt Wåhlin own and operate the hotel. From 2007 to 2016 they managed the hotel for the owner at that time, an international steel company. Simce June 2017 Carina and Bnegt are the owners. 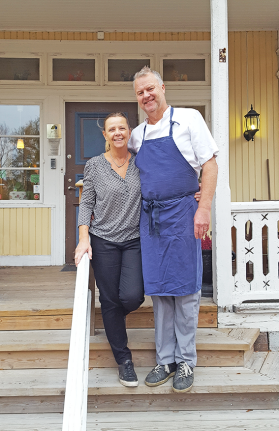 You will usually find Bengt in the kitchen where he is responsible for the excellent meals offered by the restaurant of the hotel. Food made from carefully choosen ingrdients is Bengtsphilosophy, and you may find for example that the beetroots served are grown by himself or that the steak is from a moose in the surrounding forests. Carina operates the hotel and takes care of you as a guest. She is ready to invest a lot of energy and that little extra in making your stay the best possible and to make you feel at home. en petit hotel is a small hotel in a unique environment cooperating with other small hotels in beautiful and serene sourroundings in Sweden an dothe countries. They may be anything from small cozy guest houses to hotels in former mansions or castles. A Petit hotel offers something more than the bigger ordinary hotels. We have a unique environment, nature, culture and an ecellent kitchen.Memebrs of the Petit Hotel association care for the guets and wish to create a complexe experiance. It may be good food and wine, comfortable rooms, excursions in the surroundings or just the good laughs. It may also be a bath under the stars or a swim in the pool. "a small hotel with a big heart".